Recently, my husband and I were on our way to a long-awaited out of town event. I was dressed to the nines in a long gown, my handsome husband had on his sharp tuxedo — and as parenting often goes, our daughter called crying and sick. Well, of course I headed home. “The best laid plans,” huh? Though I had a brief moment of disappointment when I realized I would miss the highly-anticipated event — all it took was holding my daughter’s sick hands in mine to realize I was exactly where I belonged. There will be another event. There will be another chance to go on a date with my husband. When it comes to being a mom, there will always be moments that surprise us, change our plans last minute, or make us reprioritize. I’ve learned that as long as I stay flexible — and put my family first — I’ll always be exactly where I need to be. 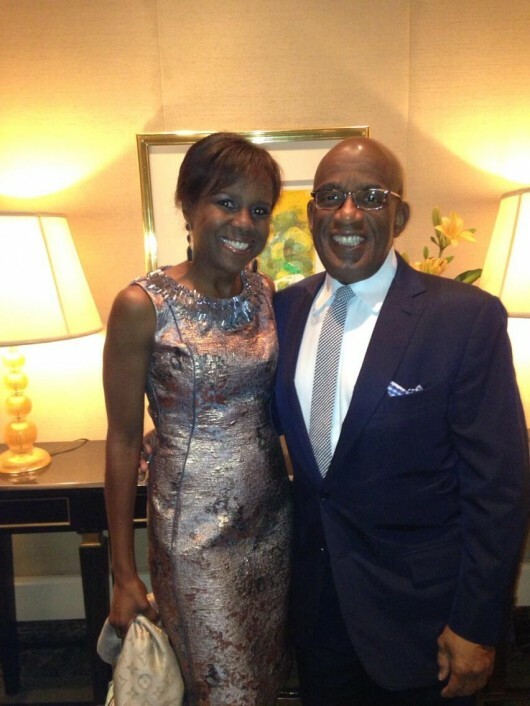 Deborah and husband, Al Roker. I am a sucker for helping out with charity events and attending dinners and lunches. And in the past, as I’ve dozed off during a lecture, I’ve said to myself: I could be in my pajamas right now. Sometimes saying “no” is good for the people you love, too — after all, the people who need you need a “rested” you! I’m going to stick to an old-fashioned one today: BAKING SODA. When you’ve had too much Mexican food — or a strange bug hits — that baking soda works faster than any over-the-counter stuff. And it’s cheaper, too!